Openstack Kilo – Opendaylight Lithium Integration on Ubuntu 14.04 LTS – Helloooo…. Vinoth …! You could see in this open source world alike OpenStack, OpenDaylight also getting its own popularity. Starting from the Hydrogen release, Opendaylight now with its 3rd release cycle named Lithium. There are more than 60+ projects available/incubated with OpenDaylight Lithium that could fulfill all the networking necessity around the SDN world. There also some dedicated projects for OpenStack that are designed and integrated with opendaylight. In this post, I will take you through the integration steps to deploy OpenStack to work with opendaylight. Before getting into the integration work, I consider the reader is already up with the working OpenStack-Kilo setup. OpenDaylight Controller runs in a JVM. So Install openjdk7 using the below command. Download the latest OpenDaylight-Lithium package from the official repo. $ ./bin/start # Start OpenDaylight as a server process and Wait for some time before running the next command below. Now, you should be in OpenDaylight’s console. Install all the required features. #Feature installation may take some time to install. Once the installation is completed, you can check whether everything is working fine by using the below curl call. The response should be an empty network list if opendaylight is working properly. Since, you already have the working OpenStack setup. You might test for VM provisioning as sanity test but before integrating the openstack with the OpenDaylight you must clean up all the unwanted data from the openstack database. When using OpenDaylight as the Neutron back-end, ODL expects to be the only source for Open vSwitch configuration. Because of this, it is necessary to remove existing OpenStack and Open vSwitch configurations to give OpenDaylight a clean slate. Following steps will guide you through the cleaning process! While Neutron is managing the OVS instances on compute and control nodes, OpenDaylight and Neutron can be in conflict. To prevent issues, we turn off Neutron server on the network controller, and Neutron’s Open vSwitch agents on all hosts. The neutron plugin in every node must be removed because only OpenDaylight will be controlling the openvswitches. So on each host, we will clear the pre-existing Open vSwitch config and set OpenDaylight to manage the openVswitch. $ rm -rf /etc/openvswitch/conf.db #Clear openvswitch database and start it again. $ ovs-vsctl show # This command must return the empty set except OpenVswitch ID and it’s Version. You can get OpenVswitch ID from the command “ovs-vsctl show” and Tunnel IP from OpenStack ml2_conf.ini file. Execute the above command in all the node(Network & Compute node) which has openVswitch Installed. Create the bridge br-ex which is needed for the external network for OpenStack in the network(neutron) node. The above command will show that you are connected to the OpenDaylight server, and OpenDaylight will automatically create a br-int bridge. Edit vi /etc/neutron/plugins/ml2/ml2_conf.ini in all the nodes required and modify the following configuration. And leave the other configurations as it is. Probably, you should get the status as neutron service failed to start by this time. Don’t worry, this is a temporary issue. Since, you have enabled opendaylight as a mechanism_driver but not yet installed the python module for it. So here we go… Install networking_odl python module. Now, restart the neutron-server and check its status which should be running without errors. We are almost completed the OpenStack with Opendaylight integration. Now, it’s time to verify it. Create initial networks in openstack and check whether the same is reflected in opendaylight. 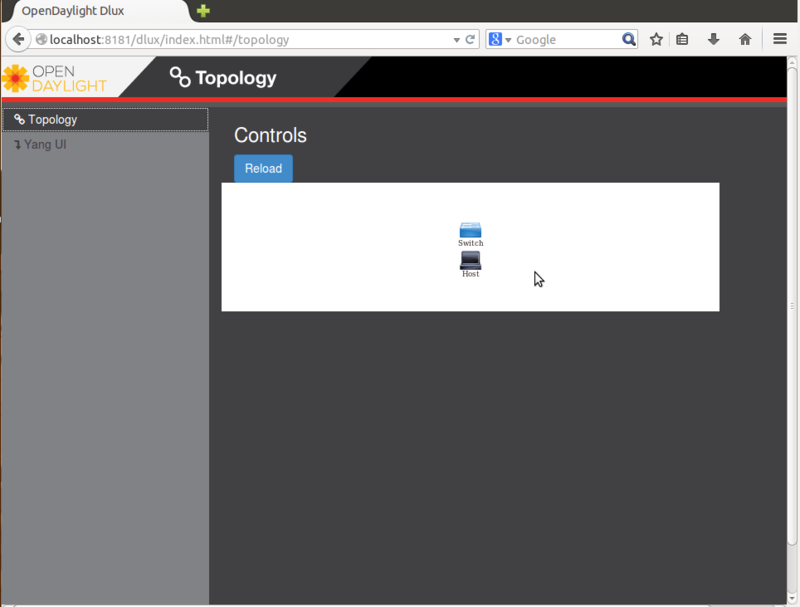 You could create the network using openstack horizon dashboard also. Below are the commands to create the same in CLI. Once, the network creation is done. You could see the same networks has been created in opendaylight using the below command. The above command will return the network information which is created in opendaylight through openstack. If everything works correctly you will be able to ping every VM. While following your instructions I got stuck in chapter 5 (integrating ODL with Openstack). It’s not clear in which nodes should be done the commands. Thanks for your insight on my blog. 1) You should follow that steps in Network node. The local-IP you have mentioned in ml2_conf.ini file.This is the IP for VM-to-VM communication (Data Path network IP). thank you for your comments and update on this procedure. I’ve currently using Liberty branch but, for some reason, it’s not working when trying to create the router (verify chapter). Did you tried with this Openstack version? I tried in Openstack Kilo and Opendaylight-Lithium SR2. When installed other feature it broke the OVS connector. I am doing the same implementation with Liberty, how many nodes do you have ? and did you execute step 6. Configure ml2_conf.ini for odl driver for the COMPUTE node ? 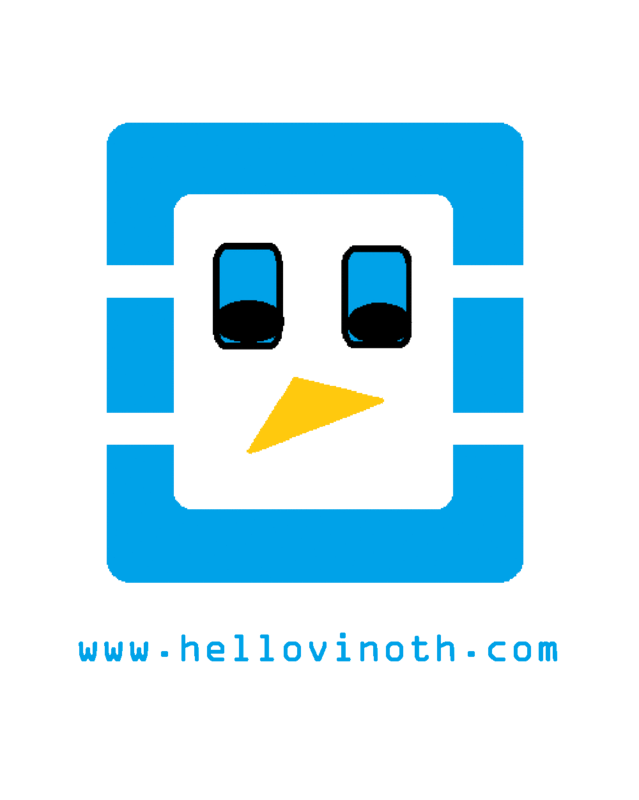 Hi finoth followed above instruction with latest kilo release of openstack. br-int is not comming up. Ensure that Opendaylight karaf is running while running “ovs-vsctl set Open_vSwitch … and its next command” , as it is responsible for creating br-int bridge. br-int issue was with some package conflict on ODL side. i cleaned all. installed just odl-ovsdb-openstack and br-int is coming up and flow rules are also commming to br-int. But now vxlan tunnels are not coming up. dont know what i’m missing. Observation: it would be good to put in the tutorial in which node should be done the setting, I was a little lost and may have set the wrong node. Could please post the error log here. Most likely you would find the errors in neutron log file at this situation. Hi, i have the same problem, moreover i have also on all compute nodes and network node the br-int as well as br-ext on network node with status of DOWN (it should be rather UP, right?) ovs-system has also DOWN state. I can create new network, routers, but i can’t create any instance. My openstack is based on one controller node, two computes and one network node, ODL is on the dedicated separated machine. 2016-03-07 04:56:10.030 4188 ERROR neutron.api.v2.resource MechanismDriverError: update_port_postcommit failed. Any ideas? Anyone has similar issues? Since logs shows the Post-commit error! I would suggest you to check from ODL controller side. Because Post-commit usually occurs when everything works fine from openstack end. In your case, Openstack neutron successfully triggers the odl APIs to create ports but ODL failed at some level in creating the port in ovs-switch end. Definitely, your suggestion is good. There is some problem on ODL site – ODL returns HTTP/1.1 500 Server Error. Have you any ideas what/how to investigate this problem? Hi, I am experiencing the same issue. Did you fix it? Can you post the solution? Thank you. What should be the password here?? I am trying this configuration on Openstack kilo (Mirantis). So all these configurations are done on controller node which also has neutron services. This error could be due to the openVswitch-switch running in your ODL controller machine. So before starting the odl, make sure openvwitch service is at stop state. can you give me some more references, which are more clear. a bit more explanation. i followed all the steps mentioned here but i couldn’t launch instance. neutron server log says port binding failed on host compute. In network node l3 agent log says cannot find br-int. I added br-int manually on compute and network nodes but i am facing ‘port binding failed ‘. After creating networks, In ODL node if i do curl for neutron networks it shows 404 error, before integrating i got empty as output. Please help me with the issue. Thank you! Which ODL and OpenStack release are you using? And what plugin and mechanism driver configured in your OpenStack? whether openVswitch or Linux bridge? Thanks for replying. ODL version is Lithium SR3 and Openstack version is liberty with Open vSwitch and mechanism driver is configured as opendaylight as mentioned in the post on both compute and networking nodes. All the features mentioned here are installed in ODL. Could please share your logs here? Please help with this. Thank you! I Posted the log here https://ask.openstack.org/en/question/89726/openstack-and-opendaylight-integration-keystone-issue/ can get a idea i guess. Thank you! I installed OpenStack Liberty + Lithium SR3 and this is working just for liberty you need to install additional liberty opendaylight driver that is avalaible at git. one question just, here in the verification you only create private network, this is working for me, but what about public net? Answering your question, At the time of writing this article, Public network creation is not supported in OpednDalight Lithium.So I tried only with local network creation. Now, At beryllium release, it may be available but I am not sure about it. If you find any information related to this, please update it here. One aditional question, step 6. Configure ml2_conf.ini for odl driver do i need to execute in controller+network node only or in controller+network and compute node ?? From the openstack architecture view, It’s not necessary to Configure ODL driver in the compute node. But I don’t have hands-on experience with DVR concept which may require configuration in compute node also. So why to give a chance for error! Configuring it in compute node won’t backfire us and moreover it will simply ignore the configuration if it is not necessary. So I would recommend to install it on controller+network and compute node. I followed your steps till creating database in mysql. However when I run neutron-db-manager … upgrade head neutron, it shows there is no user neutron in passwd. After rechecking in /etc/passwd there is no user neutron. You might miss the neutron DB user creation part. Please follow the section 7 again and make sure that you run the command inside the MySQL terminal without any error message. What version of openvswitch is needed to integrate it with opendaylight lithium controller. Currently I am using version: 2.0.2. I am unable to connect controller to ovsdb. Suggest methods to troubleshoot. is it possible to have the same configuration, but with VLAN provider networks instead of GRE/VXLAN? The configuration works well with openvswitch-agent, but when using ODL instead of the openvswitch-agent, my VM-to-VM communication does not work anymore. Any clues? hello , im facing the same problem . Does it work with VLAN provider ?? I try to follow all the steps, but I ask if there is any configuration to do in Openstack?? Can you help me to easily move to the other steps? I found also some problem when introducing this command Service neutron-server stop : the command is not found, is there any other option to stop neutron server? I want to integrate the Opendaylight Lithium with Openstack Kilo. I followed the document and the VM is created. The VM port is shown in the OVS and ODL. There’s no error message on the neutron, but the VM does not get IP. Thank you for your post. I followed your post and installed OpenDaylight. But I got something wrong. I checked the neutron log and every time it starts, an error show ‘Could not load ‘opendaylight’: No module named opendaylight.driver’. I actually did install networking-odl and networking_odl as other tutorials suggests. But this still did not work. Could you give me some advice?